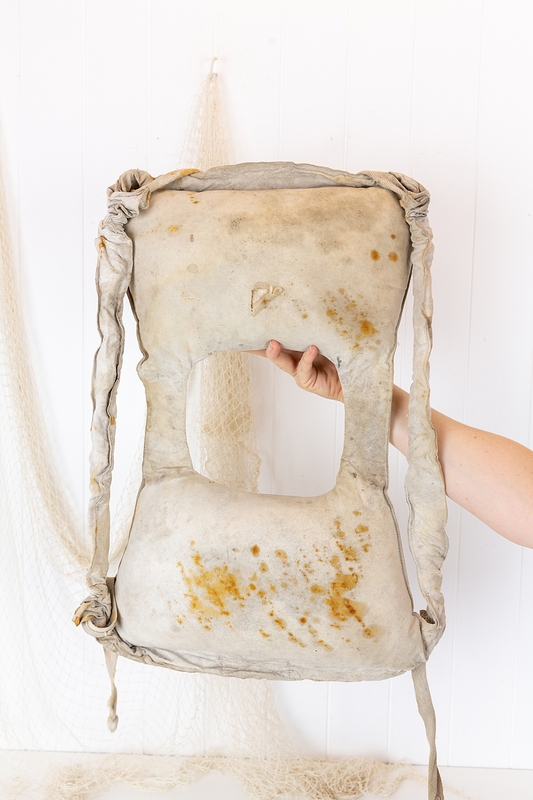 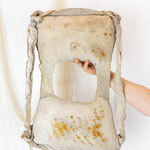 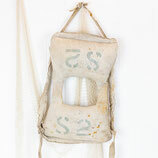 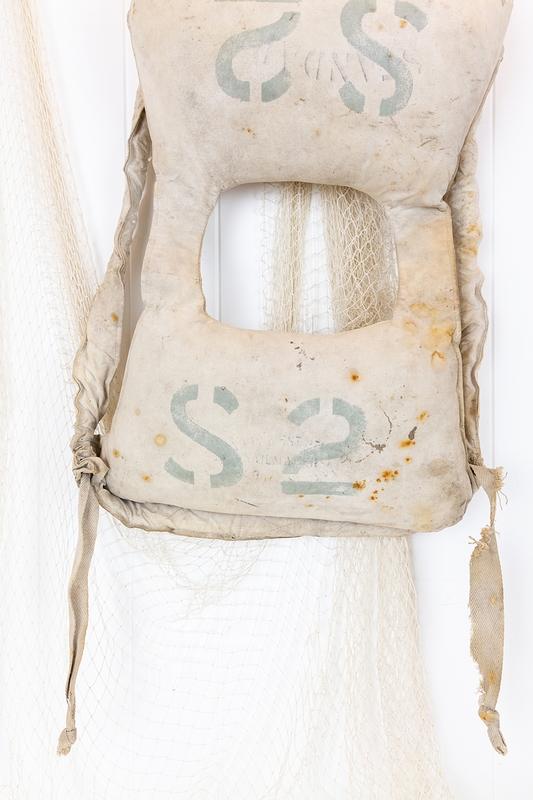 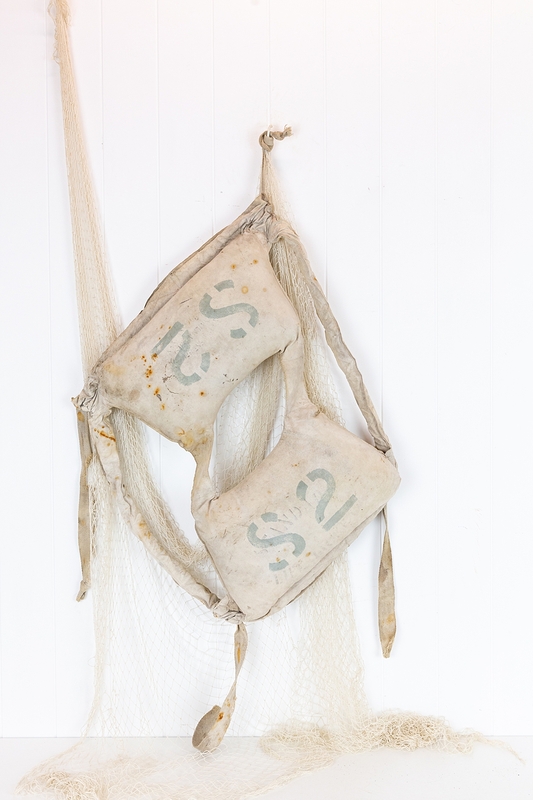 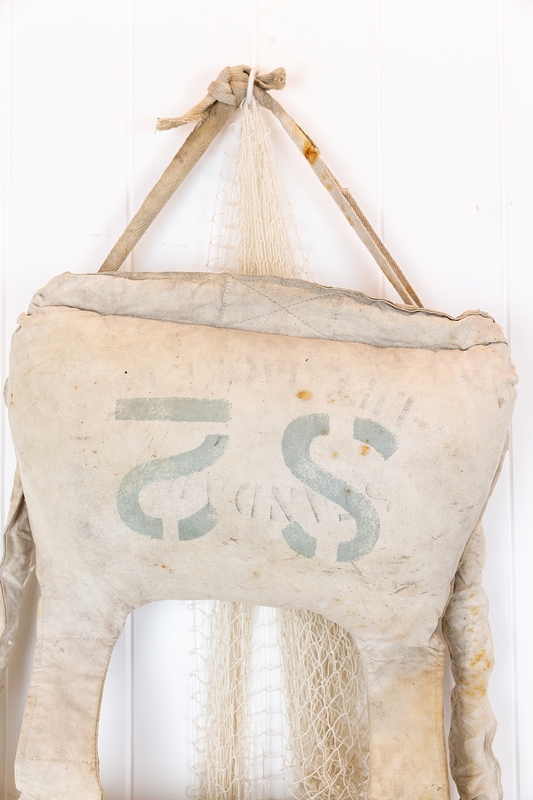 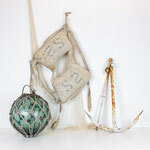 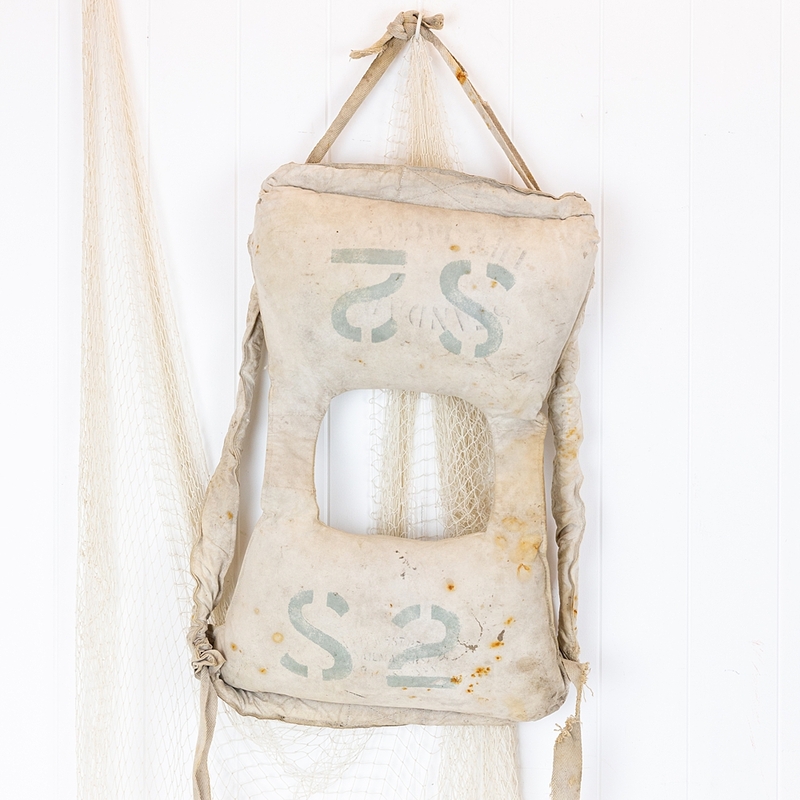 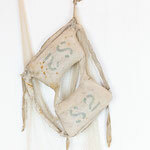 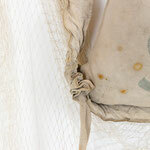 This fabulous vintage life jacket looks as if it has spent many a day at sea. Such wonderful character! 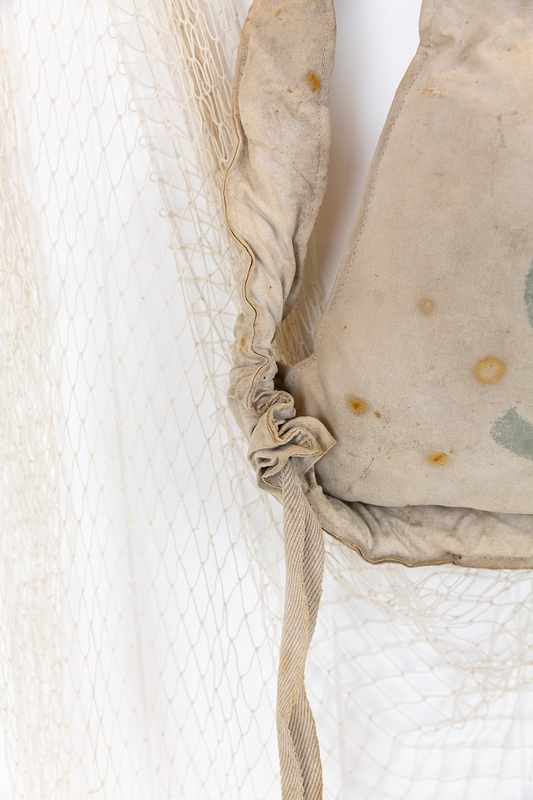 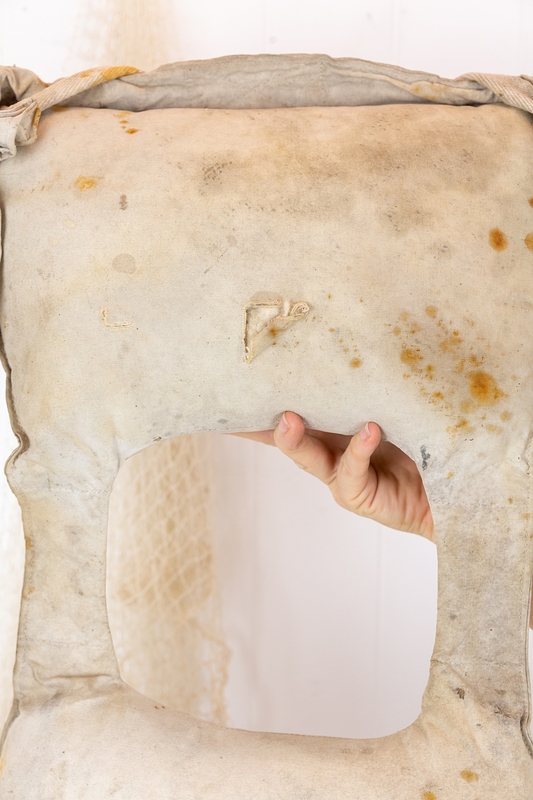 The canvas has discoloured over time, with rust spots and small tears, and sections that appear to have been mended. 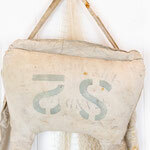 S-2 has been stenciled on the jacket in a soft seafoam blue colour and the branding for Harry West can be faintly seen. 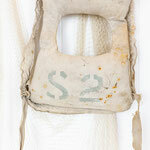 It would be wonderful hung as part of a display, or as a prop for a photo hoot or merchandising display.